Frame Your Existing Mirror With Ease - Fast Glass Mirrors and More, Inc.
Mirrors play a vital role in our everyday lives, but until now the cost has been the primary reason that your vanity mirror is more a tool than a design element in your home. Though framed mirrors can add a richness to our homes, we have been very limited either by the excessive cost of custom sized framed mirrors or the limitations of available sizes of mass manufactured mirrors. Now there is a simple solution that allows you to choose from a variety of beautiful, prefinished frames that can be cut to any size and applied to your existing mirror. 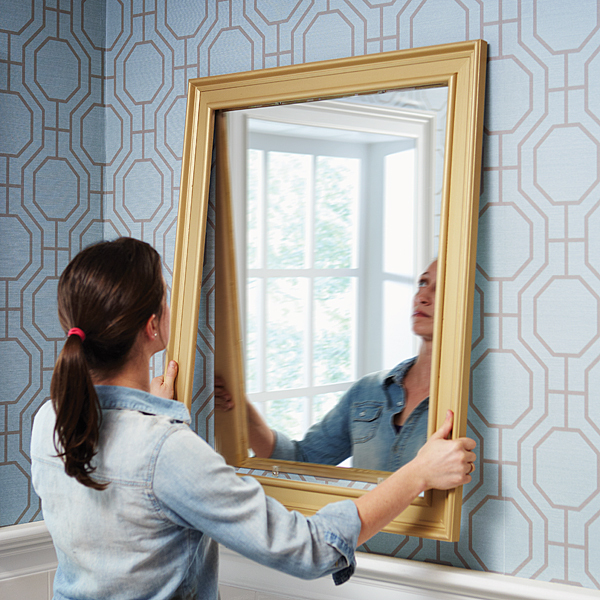 Applying the frame to your existing mirror saves you the cost of the mirror, and while the application is so simple you can do it yourself, Fast Glass Mirrors and More is happy to offer a full-service experience as well. This is an excellent DIY project that can be finished in just a few minuteswith no special tools or skills. These frames can be prepared with your choice of “knocked down” (unassembled for easy shipping), or “prebuilt” (ready to apply), for easier installation. You simply choose the frame and Fast Glass Mirrors and More will have your frames ready to install before you know it. These frames make such a statement that we find our clients often get creative and add matching full-length mirrors either in their master bedroom, bathroom, or walk-in closets. The continuity between rooms enhances the perceived value of custom framed mirrors while giving the perception of adding depth and space to the room. The application of these frames makes an excellent upgrade to your home whether it is at the recommendation of your real estate agent to prepare your house for market, or to show your appreciation to that special someone. What a great gift idea for a birthday, mothers day, or valentines day! Call 678-947-1422 now and mention this article to receive a free in-home consultation and measurement for a frame!